The West Hollywood City Council on Monday will consider whether to commission a survey of local voters to gauge their support for a local tax on cannabis sales. Currently the state imposes a 15% tax on both recreational and medical cannabis sales. Los Angeles County also levies its 9.5% sales tax on recreational cannabis sales and the City of Los Angeles taxes recreational cannabis sales at 10% and medical cannabis sales at 5%. A memo to the City Council notes that state, county and city taxes in the City of Los Angeles amount to a total of 34.75%. 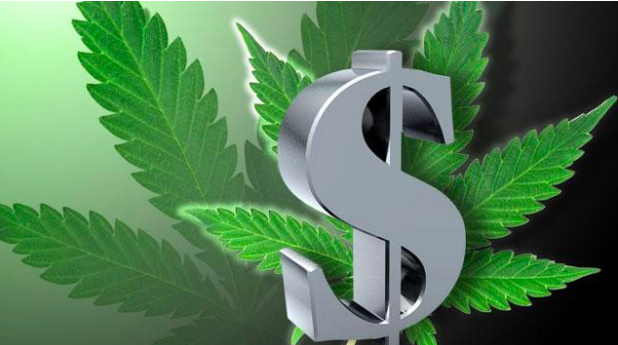 “… There has been discussion at the state level as to whether these high tax rates are hurting the legal cannabis industry and driving more people to purchase from ‘black-market’ dealers,” the memo says. “With this in mind, the city should be mindful of the level of cannabis tax it pursues. The city already has anticipated asking local residents to authorize such a tax and City Council members have suggested various ways the revenue generated from such a tax might be used. For example, Mayor John Duran has suggested that the revenue could fund a city effort to revive the Sunset Strip, which is one of his priorities. If it decides to pursue the tax, City Hall wants to put the proposal on the March 2019 city election ballot. The proposed survey would include responses from 250 to 400 likely voters in the March 2019 election. The city would engage Fairbanks, Maulin, Metz & Associates to conduct it for a fee of $32,500. It would be conducted online and over the telephone in English, Russian and Spanish. The results would help the City Council to decide whether to proceed with the ballot initiative. It is intended to determine what tax rates, if any, voters would support and what sort of city services and infrastructure improvements they see as necessary. The City Council will meet at 6:30 p.m. on Monday at the City Council Chambers, 625 N. San Vicente Blvd. Parking in the five-story structure behind the chambers if free with a ticket validated in the lobby. Save the $32k or put it towards something worthwhile (like maybe helping WeHo’s increasing homeless population? ); I can save you the money and trouble of polling residents to figure out the best way to save your jobs come election time: DON’T LEVY A TAX, and STOP BEING GREEDY! Simple, no? Our City Council should be focused on helping it’s residents and keeping WeHo a great, affordable place to live; not scheming yet ANOTHER cash grab for doing absolutely jack squat. How much greedier can you get? Spending $32,000 to survey seems a little egregious. Why not just send out mailer postcards with prepaid return labels and have someone collect and count responses. Cm on Weho, let’s focus on saving money instead of frivolous spending. With a combined tax of 34.75% (Good Lord! ), should there be any surprise at all that buyers are going back to the black market? Just how much greedier can these various governments get over this “Legal Cannabis” joke? Don’t due the survey and save the $32,500.00 and avoid the tax.